'He is Risen, just as He said!' 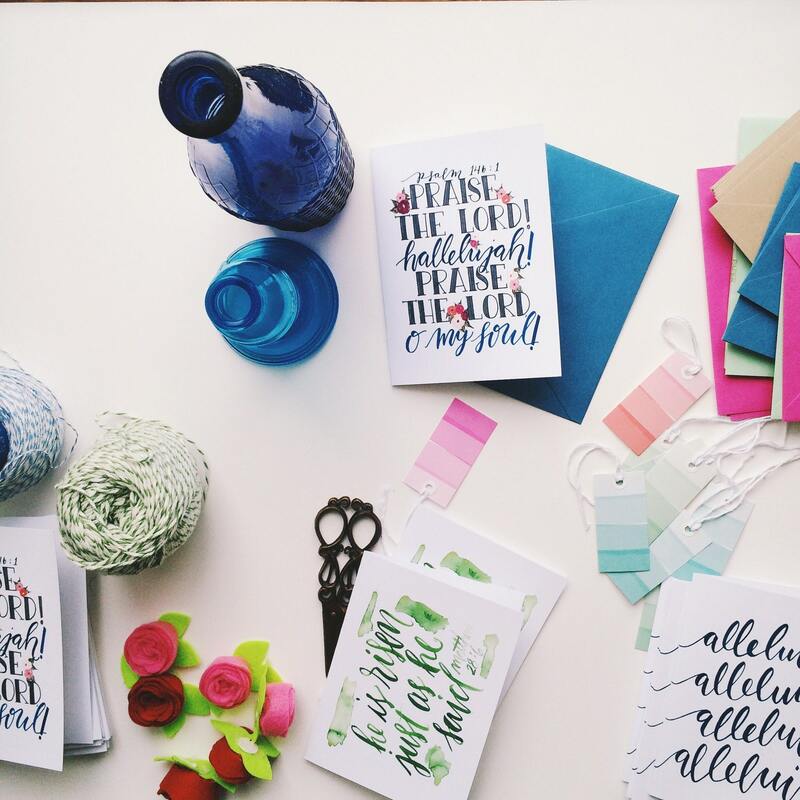 I love this promise from Matthew 28 for my Easter cards! 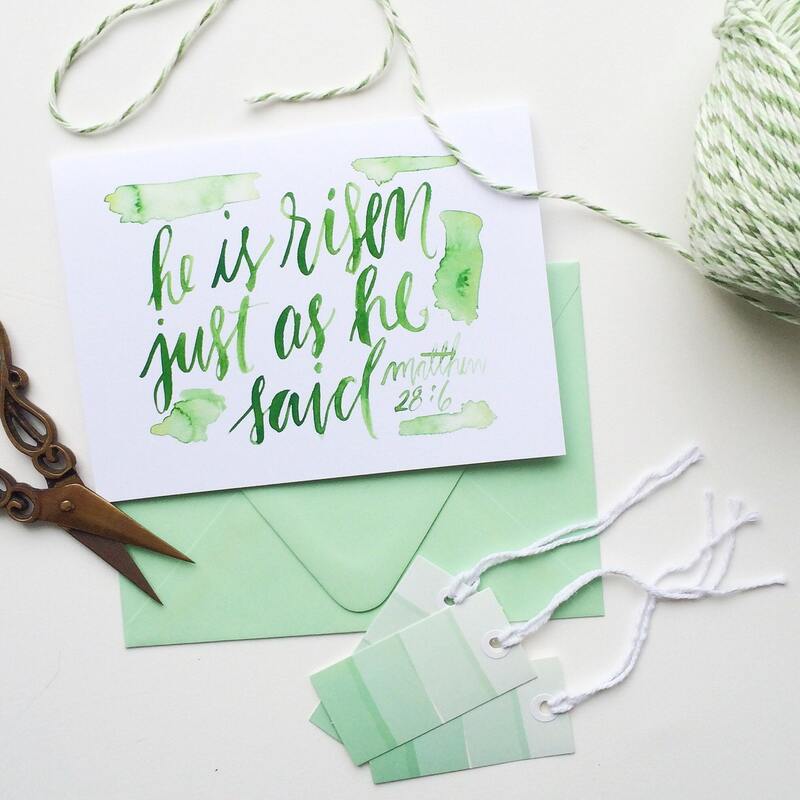 Celebrate the gift of your salvation with this beautiful watercolor design, painted in lovely muted green tones. Professionally printed at my local print shop on heavy weight card stock. 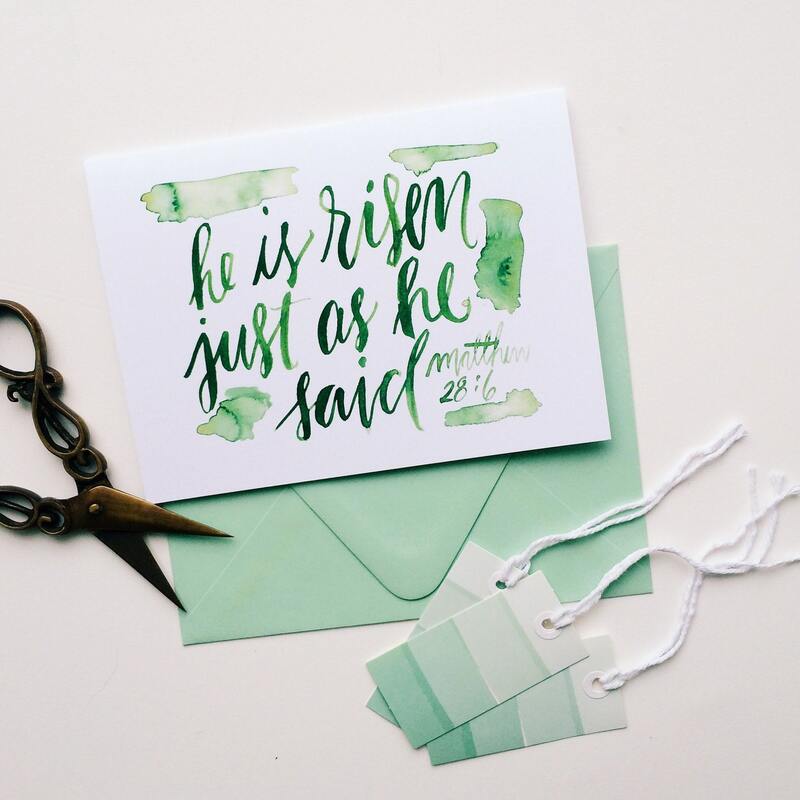 Includes luxe mint green french point envelope and mini scripture card. A6 sized.